When teammates collide – how should their team react? 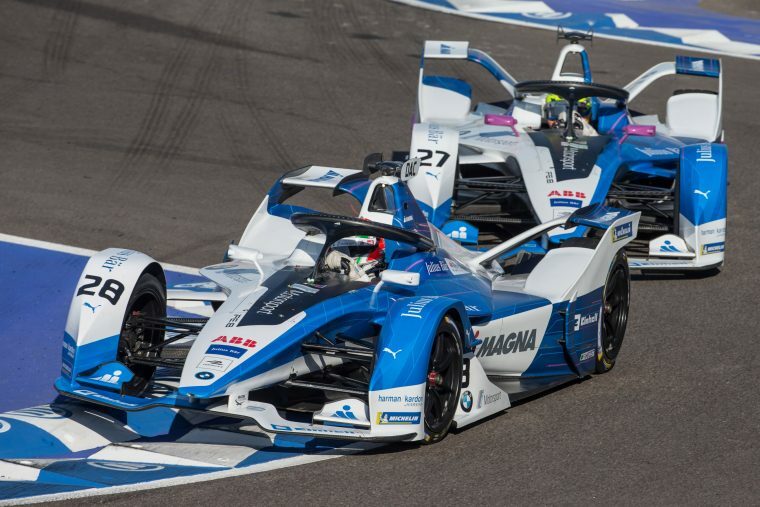 The Marrakesh E-Prix proved to be a rollercoaster of emotions for the BMW i Andretti Motorsport team, running first and second early in the race and looking easily set to finish there, but a collision between the teammates threw up the result and gifted victory to Mahindra Racing’s Jerome d’Ambrosio. Conrad O’Keefe explores the backlash for the German marque. The airwaves in a team garage are shaded blue at the best of times. It’s a fraught place to be; one of staff’s onlooking elation, or head-in-hands dismay at the sight of their cars and drivers. But when the unthinkable happens, and the darkest laid fears of a team come to fruition, those airwaves soon turn to a sour indigo. BMW i Andretti Motorsport were finding themselves in an increasingly enviable scenario, around the streets of Marrakesh on Saturday. 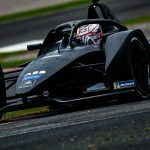 They’d bested the Envision Virgin Racing cars up ahead in a battle of nerves, and stretched out a comfortable gap not often seen in Formula E. It was all looking so rosy, and the taste of champagne was already on the drivers’ minds. But the two teammates, Antonio Felix da Costa and Alexander Sims, must have contracted an intoxication. Because, with 10 minutes to go, they came to blows down at Turn 7. da Costa was not only leading the championship due to his fine win in Ad Diriyah last time out, but also good for extending it with another victory. Meanwhile, Sims was comfortable behind, on course for a podium in only his second E-Prix. He was also the more advantaged of the two at this stage of the race, but around the outside at Turn 7 was not the place to display it. That corner was catching out drivers aplenty over the weekend, and playing chicken on the braking pedal there was suicidal – da Costa played his part in trying to fight it, locking up his front tyres just like Sims had, and by the end he was nose first into the barrier, while Sims rejoined the track in fourth. But the blame game is not only void – “Alex was amazing today, and I made a mistake. I think I should have given him the race earlier,” da Costa admitted, quite refreshingly -, it also pales in comparison to just taking a mere glance at the championship tables. 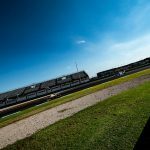 They were on for a 43 point haul, a Constructors’ championship lead of 34 points, and, even if da Costa had relinquished the lead of the race, he’d be staring a 23 point Drivers’ lead in the eye. But the birds they’d been throwing stones at never landed, and 12 points through Sims’ fourth place would be all they’d receive. And the million-dollar question is this: how on Earth does a team boss even begin to cope with this? Formula E is one of the most competitive, ever-developing series in racing, and leads of that magnitude aren’t often presented. They had the baseball careering into their hands, and fumbled it in the most agonising, most inexplicable of ways. 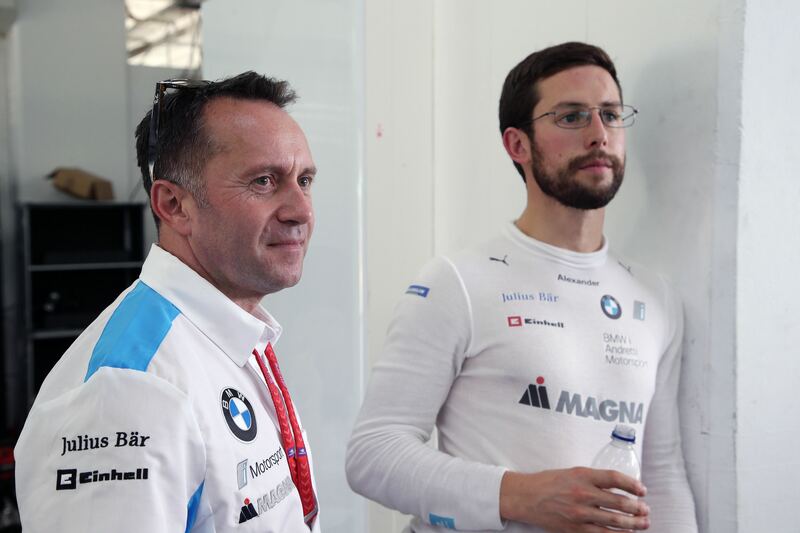 It’s safe to say no-one envies the position of Roger Griffiths, BMW i Andretti Motorsport’s team boss. Does he put an arm around his drivers’ shoulders, tell them anything can happen in racing? Does he reach around to their necks and throttle them? Or does he think of the long game, and move straight on to enforcing rules to quash a repeat performance? He made the right move, as it turns out. His body language frank in it’s deflated mood, but his mind wise in the thought of maintaining morale, he already knew by the time the microphones were below him that there was no blame game to diffuse, both of his drivers apologetic towards not just the team but each other. “The frustration is there, the disappointment is there,” Griffiths conceded. “But I think what we have to recognise is the effort that went in from everybody in this garage, to put us in that position of leading the race and running second. No one is to blame, we’re a team, we celebrated together in Riyadh and we’ll commiserate in Morocco and move on to the next round”. It’s a tried and tested approach to dealing with these issues, where a clear convictor is absent, and it’s so easy to underestimate the lava flow of emotions being contained within the team staff to keep such a level head. They’re the ones that suffer the most, at the end of it all; the drivers may drop points, but the ring leaders lose their support and credibility through failure to keep these incidents bottled up. Griffiths, much like da Costa and Sims, know the season is long and the battle will extend into the final throes. They also know, even in the heat of the moment, how to keep together their class and dignity high with each other, and how important team morale will be to their bigger aims. Taking the sensible option, and putting on a team front in front of the cameras even with the frustrations bouncing around within them, is a sign of a championship winning team’s mettle.